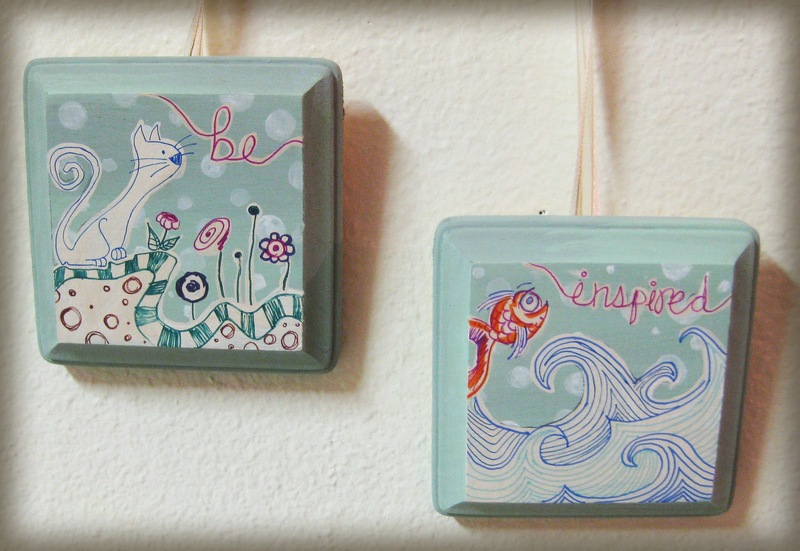 BE INSPIRED - Two 4" x 4" hand painted wooden plaques. Acrylic on wood, with decorative ribbon for hanging. ($31.50 for the set). Just a quick post for you this week with some updates and questions for you all. How has your new years been? Been sticking with those dreams/ goals? Don't let discouragement take you down, even for a moment. Its never too late to get back up on the horse and continue the journey! 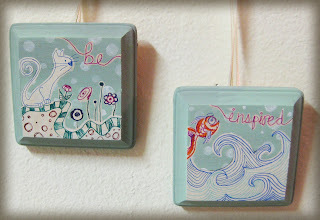 In honor of the new year, and new dreams, I've just released our newest hand-painted plaque set titled "Be Inspired." Different style than our traditional holiday themed plaques but its received a lot of good feedback so far! So today we are donating $20 to the Make-A-Wish foundation! This was raised with YOUR help last month as you purchased artwork and cards! On behalf of Lisscat Creations and the kids at Make-A-Wish, THANK YOU for your support! If you are new to Lisscat Creations, we have a little thing we like to call "charity of the month." Every month we pick a great organization (nominated by you) and donate 10% + of the proceeds of all artwork sold to the charity!" Who would you like to see Lisscat Creations give back to next month? We have had some amazing suggestions for "To Write Love On Her Arms" and orgs to stop human trafficking. Let us know your thoughts! And be on the look out for new featured artwork all month long! Love you guys, you rok!